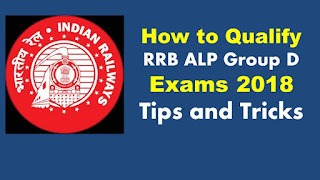 How to Qualify RRB ALP Group D Exams 2018 Tips and Tricks: Hi Friends in this article we are providing some important tips and tricks for how to qualify in RRB Assistant Loco Pilot and Group D Online Computer Based Test (CBT) 2018 Exams conducted by the Railway Recruitment Board in all Zones. Here we are providing the some basic tips for cracking the RRB exams 2018. Recently Railway Recruitment Board stopped the receiving application for the posts of ALP and Group D. As per as given information this year more than 2.10 crores candidates are applied for given notification. This time to get the central government job is not a simple task. 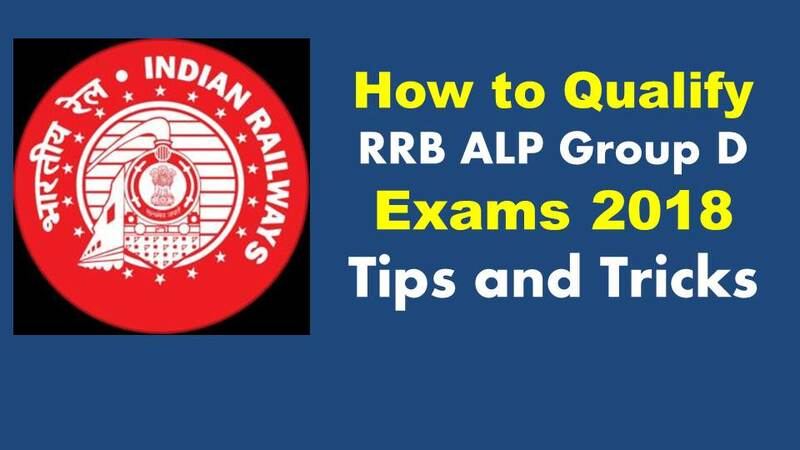 Here we are providing the some important tips and trick for qualify Railway exams 2018. Indian Railway is the one of the largest employee’s board in India. This time Railway Recruitment Cell has invited the 26502 Assistant Loco Pilot (ALP) and 62907 Group D Vacancies filling under the CEN01/2018, CEN 02/2018 Notifications. Large numbers of aspirants are eagerly waiting for these Railway Notifications. First off all know the exam pattern and syllabus for the ALP, Group D CBT Exams. Each exam pattern are available at the above tabular format check it once. ALP and Group D Exams questions level are different but concepts are same. Maximum as per as expected from the below marks are coming in written test. This is only expected but not conformed we will not responsible for further issues. First of all avoid all social media like as Facebook, Twitter, Instagram, WhatsApp (Use Limited) only. Applicant can managed time at examination hall. Maximum you can solve the question less than a minute time. your friends also our team ssc-ibps.com provides the all latest government sector jobs updated information, important dates, examination pattern, syllabus, and Previous papers also. Any suggestions are given to our team please comment below the comment box. Thanking for visit our web portal.